We’d like to thank Nic Justice for making this short video of highlights from this past weekend’s event. Philadelphia, PA, December 10, 2012 – The Philadelphia Beekeepers Guild (www.phillybeekeepers.org/) is thrilled to announce that nationally renowned beekeeper and author of “The Practical Beekeeper“, Michael Bush, will be coming to Philadelphia to speak at their 3rd Annual Natural Beekeeping Symposium. Bush will share valuable techniques and stories about natural beekeeping, based on his extensive, personal experience. The Natural Beekeeping Symposium is an all day event and will take place on February 10, 2013 from 10am to 4pm at William Penn Charter School on 3000 West School House Lane, in the East Falls/Germantown section of Philadelphia. Michael Bush has been keeping bees in Nebraska since the mid-1970s and is one of the leading and most visible proponents of treatment-free beekeeping. He educates beekeepers about how to keep bees without toxic chemicals, pesticides or antibiotics. The author of The Practical Beekeeper: Beekeeping Naturally, Michael is active on many beekeeping forums and provides extensive information to beekeepers on his website, www.bushfarms.com/bees. Tickets to the Guild’s 3rd Annual Natural Beekeeping Symposium can be purchased at http://guildnaturalbeekeepingsymp2013.eventbrite.com/. Tickets cost $25 for Guild members and $35 for non-members. Included in the registration price is a box lunch. The Guild will also be holding a raffle for a collection of beekeeping-related prizes. Attendees to the event can also visit a variety of vendors featuring bee and honey-related products. The Philadelphia Beekeepers Guild began in 2009 as a small, informal group of local beekeepers and has quickly grown into a 140 member, not for profit organization that reaches many more people through its events and outreach. The Philadelphia Beekeepers Guild works to encourage and promote urban beekeeping through fellowship and education, and to raise awareness of the importance of bees to our environment. Meetings are held regularly at various sites around the city on the third Thursday of each month. For questions or to schedule and interview, please contact Abby Fretz (a.fretz@gmail.com), or Guild President, Adam Schreiber (info@phillybeekeepers.org). Slow Food Almanac is now online, the EU Votes for Stronger Shark Finning Ban and Alice Waters on growing Slow Food culture in a fast food world..
Honey bees and other insect pollinators are dying off at unprecedented rates and pesticides are a clear causal factor. This week and next, EPA is deciding just how “real” they think the pesticide threat to our pollinators is. In March, the Center for Food Safety joined partners and beekeepers from around the country in filing a legal petition with EPA, calling on the agency to make use of its emergency powers to protect bees from a pesticide called clothianidin that is particularly harmful to bees. In the next two weeks, we expect EPA will decide whether this threat constitutes the “imminent hazard” necessary for the agency to take emergency action to suspend registration of this toxic pesticide. Bees and other pollinators are indicator species – as they go, so goes the environment, and with it, us. If bees dying off en masse aren’t an “imminent hazard”, then we don’t know what is. 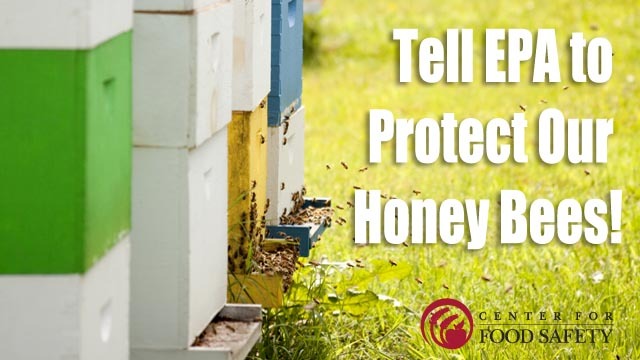 Tell EPA that the threat to bees is very real, and they need to take emergency action. I would like to express my gratitude for your donation and for believing in the dream of A Thousand Gardens in Africa. Please know that all of us at Slow Food really value this contribution from you. Because of your support, the Slow Food global network is connected and supports one another in creating more good, clean and fair food for all. It is with your help that we can go forward with our daily work to ensure that this strong network continues to grow. So far, 612 gardens have been adopted, and they have been launched in 20 out of 25 countries involved in the project, in conjunction with awareness-raising activities on the importance of producing and consuming good, clean, fair food. Slow Food chapters in Burkina Faso, Senegal, Somalia, Democratic Republic of Congo and Madagascar were set up in conjunction with the gardens. For more information, please visit our website at: http://www.fondazioneslowfood.it/pagine/eng/orti/pagina.lasso?-id_pg=117. There you can read the project chronology and download the reports written by the gardens coordinators on the training and exchange workshops. Thank you once again and of course we remain at your complete disposal if you require any further information on the project. This weekend Sunday Suppers will be serving Thanksgiving dinner and they could use your help and/or donations! If you would like to help prep on Saturday, Nov 19th (10-2:30), volunteer Sunday, Nov 20th (4:30-8:30), or donate pies, please contact Jennifer Gavala today! This coming Saturday, September 17th, people all over the country are getting together to create home-cooked meals for less than a typical value meal. Why should slow food cost more than fast food? The purpose of this event is to show people that slow food doesn’t have to cost more. 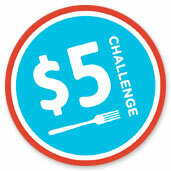 Click here to pledge to take the challenge, sign up to host a meal, or find a meal in your area! 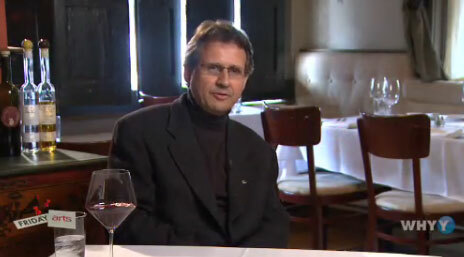 Tell President Obama to DUMP Monsanto Michael Taylor! When Barack Obama ran for President he promised to end the “revolving door” between agribusiness lobbyists and government and to “regulate” factory farms. Unfortunately Obama’s decision to appoint Monsanto super lobbyist Michael Taylor as FDA Food Safety Czar broke the trust that the American people had placed in him during his campaign. Now Michael Taylor is heading up undercover investigations at the FDA into small raw milk dairy farmers that end in armed raids while the worst factory farm violators are getting away. It’s time for President Obama to stand up for real food safety and put an end to the assault against family farmers producing healthy food. 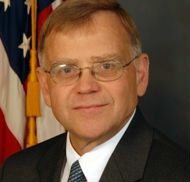 Tell President Obama to DUMP Monsanto Michael Taylor! It’s time to protect family farmers and stop letting Big Ag lobbyists write the rules. Click here to Add Your Voice! Watch an extended interview with Fair Food’s executive director, Ann Karlen, a pioneer of the local food movement in Pennsylvania.